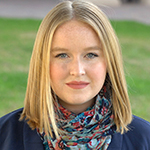 Read more about corporate communication major Hannah Carlson. Read more about English major Kaily Garcia. Read more about political science major Tara Hoch. Read more about accounting major Darien Phillips. Read more about pre-med major Omar Hamza. Defying stereotypes is routine for Rebekah Gonzales, a Beaumont native and junior majoring in theatre and dance at LU, where in just a few semesters, she has achieved more than she imagined possible. Orange native Jamarcus Corks knows how to deal with life through the good and the bad. The Lamar University senior broadcast communications major not only knows how to communicate effectively but he also knows how to turn words into actions. Lowell Washington is no stranger to transitions and new beginnings. The Lamar University senior nursing major has experienced a lot throughout his life. The Houston native knows what it takes to overcome adversity. Carlos Caballero, a Port Neches dual major in mechanical engineering and physics, is exploring his passion for science through unique research opportunities at LU. Linda Pham has a natural curiosity and love of learning. A first-generation American and first-generation college student, the junior mathematics major is prepping for her second study abroad in South Korea. Jordyn Glenn is finding success and diversity at LU. The Lamar University senior accounting major with a minor in MIS knows how to count her blessings and how to share her gifts with others. Senior electrical engineering and physics dual degree student with a double major in mathematics, Nic Nikoloutsos, originally traveled to Taipei, Taiwan this summer to work on experimental procedures in nanomedicine, but his research expanded into new realms forming a whole new summer experience as a 2016 Beck Fellow. When Marco Hernandez enrolled at Lamar University, he planned only to earn his degree in modern languages with a concentration in Spanish then teach. Since then, he has encountered many unexpected opportunities. As a U.S. Marine, Lamar University senior Levi Smith knows about mission. With his move from the Corps to the classroom, the mission has changed, but the dedication and determination are the same. Port Arthur native Ryan Nunez originally planned to attend Lamar for only a couple years. Now a senior, she's representing the university as a recently elected Great Plains Honors Council student representative. It’s a college student’s dream to work with one of the nation’s largest companies after only a year of studies— But for Isaac Alvarez, a 19-year-old from Keller, Texas, it’s a reality. Business management major Ryan Sherer has been propelled in his academics and career by one singular, all consuming dream since young childhood. One day, he hopes to become the president of the United States. Determined, inspiring, and a natural leader— characteristics that make Margaret Kay-Alana Turner a perfect fit for her double majors in management and Spanish and her minor in hospitality. The 21-year-old senior is a Lumberton resident with dreams of leaving the small town to work internationally in the ecotourism industry. 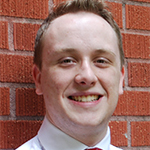 John Ellis, a junior from Bridge City, has found support at Lamar University to explore his many, diverse interests. In the first three semesters alone, Ellis was a member of the Freshman Leadership Program, a drum major for the LU Marching Band, a member of the Wind Ensemble that played at the 2015 Texas Music Educator’s Association Convention, a Lamar Ambassador and began working for the university’s marketing department. Some people choose to make their passion a hobby, but for Erica Edgerly, it’s her future career. The 22-year-old Lamar University senior from Orange is not afraid to carve her own path.When she realized that her true passion was to work in fashion and makeup, she decided to make a change — she is now a fashion merchandising major with a minor in business and plans to be a makeup artist as well. Zachary Defrancis, is a Port Arthur native majoring in history with a teacher’s certification and minoring in political science. Since joining LU, the senior has held several leadership roles, been recognized as an accomplished scholar, become a world traveler, and discovered his passion for historical preservation. Growing up in the United States as the daughter of Arab immigrants, Ayah Hamza of Port Neches has sought to play a contributing role in securing global human rights since childhood, when she recognized the extent of injustice in the Middle East. Now a senior dietetics major, she will begin medical school at the Texas College of Osteopathic Medicine in Fort Worth this July. After observing the effects of domestic violence in her community, 21-year-old Miroslava Zendejas, a criminal justice major, has found her calling defending victims of violent crime. Progga Chirontoni, a Lamar University junior chemical engineering and math major from Dhaka, Bangladesh, has been passionate about addressing the issue of water scarcity since the eighth grade, when she researched arsenic contamination in the water of developing countries for a science fair project. Computer Science major Hannah Leleux of Bridge City has found her niche at Lamar University. The 21 year old recalls that, entering college, she was hesitant to commit to a field of study. Now a junior, she is highly involved in computer science as a tutor, researcher and Webmaster. Junior Kelli Creel’s passionate interests in microbiology and dentistry have led her from the classrooms and labs of Lamar University to research with world-class scholars on the microbial communities entrapped in dental tartar from ancient Roman skeletons. Ohio-born Molly Ross is not the stereotypical engineering student. A minority in the male-dominated discipline, the junior balances school and work with a variety of creative pursuits and an active social life. She views her unique characteristics as a personal advantage. Crosby native Alan Gruenstein has used his time at Lamar University to discover his dream career in civil engineering. He entered the university with a simple love for math, but now a senior, Gruenstein is prepared for his civil engineering degree right down to his partiality for wastewater treatment. Drew Anderson has set the bar high ever since the fifth grade, deciding then and there that he would graduate valedictorian. Years later, Drew realized his dream. Now, he is a sophomore at LU, working his way to a degree in exercise science/fitness management. When Brenda Hernandez-Iglesias, a sophomore from Beaumont, Texas, graduated as salutatorian from her high school, she wanted a university where she could really get involved. Interested in biology, she considered several universities but decided on Lamar University. Avril Falgout, 18, a talented artist and student of the Texas Academy of Leadership in the Humanities (TALH) program at Lamar University, has found success, recognition and opportunities across Southeast Texas. Known for her unique, life-sized papier-mâché sculptures, she is advancing in her education at Lamar while creating art for area shows. Nederland native Jamie Stafford discovered her passion for chemistry in high school. Today, her passions have expanded to include a love for physics as well. By the end of 10th grade, Chris York of Beaumont had already all the math courses available at his high school and self-taught himself advanced mathematics. He applied to LU's Texas Academy of Leadership in the Humanities and now serving as a teaching assistant and doing research. For Beaumont native Kara Timberlake, her growing curiosity and love for adventure sparked a desire in her to learn about other cultures and a summer study abroad experience in Salamanca, Spain. Nederland resident Stephanie Miranda knew she wanted to be of service to others. Helping people manage their finances and learn how to invest is her goal in earning a business degree at Lamar University. Amy Becerra has always been passionate about how people think. Participation in a psychology learning group helped develop her interests and introduced her to new opportunities, encouragement and inspiration. Beaumont native Ben Yett’s collegiate journey has been one of many choices. The 2011 graduate of Beaumont’s Monsignor Kelly Catholic High School, is majoring in electrical engineering and mathematics and plans to graduate from Lamar University in May 2015. Steady. Thoughtful. Analytical. Consistent. Attributes desired in a physician … or an engineer. Attributes readily seen in Lamar University sophomore Michelle Chestnut. Add to the list: sharpshooter. Michelle is two-time junior world champion and three-time female four gun world champion in the .50 BMG, the largest caliber available to the shooting enthusiast. Samad is an industrial engineering major and is planning on getting his Master of Business Administration at Lamar University once he graduates in May 2014. Before coming to college, Lamar was only an afterthought for the Nederland resident. It was not until he visited the campus that he realized it was a good fit for him. “Building relationships [at Lamar] can provide invaluable employment and research opportunities.,” Samad said. For Vivian Caloobanan, studying pre-med and biology marries her two passions - science and helping others. The junior’s desire to pursue the medical field was confirmed in high school with her involvement in her Lumberton Health Sciences and Technology (HST) class. “I applied to be a Lamar Ambassador because I wanted to achieve more and I knew that by joining the Ambassadors, it was a first step to becoming a leader,” Caloobanan said. After graduating as valedictorian of her senior class at Memorial High School in Port Arthur, accounting major Kristeen Reynolds planned to attend Lamar University for one year and then transfer. After her first year, though, she knew that Lamar was where she belonged. "I chose to stay here for a year because Lamar is small and close to my family," Reynolds said. "Once I got here, though, I fell in love with the faculty." Nederland native Will Pickard chose to pursue a medical career after watching his father's impact on his patients and followed his father's advice on attending Lamar as well. "My dad urged me to consider Lamar, saying that it got him to be where he is as a doctor today. Lamar has an excellent track record with its pre-med students getting accepted into medical schools." After completing a residential program for high school students at LU, Tyler Doiron enrolled with a double major in electrical engineering and mathematics. “I chose to stay at Lamar University for so many reasons,” she said. “Lamar is just a wonderful school. The teachers and programs are great, especially within the College of Engineering. And the classes are smaller. You often have multiple courses with the same people for several semesters." When Charity Ogbeide enrolled at Lamar University, he knew that college was a second chance and an opportunity for him to reinvent himself. “In high school, I wasn’t involved in any of the organizations,” Ogbeide said. “I always tell people the only thing I was ever part of was winning class clown my senior year. So coming to college, I wanted to take advantage of everything.” Elected as Lamar University Student Government Association president for 2013-2014, the Missouri City native decided to seize every opportunity he found to be involved. Small classes and the chance to develop strong relationships with professors first attracted Patty Stephens to Lamar University. Since enrolling, she has taken advantage of multiple opportunities that reinforced her choice. “It’s the best decision I’ve made. I’ve established myself at the university by being involved; my academics are good; and I’ve made great friends,” said the biology/pre-med major. After graduating from high school in Beaumont, Will Robbins planned to attend Lamar for a year, get some college experience and then transfer to another school in a bigger city. "Once I got to Lamar, I loved it, and I never left. I never would have imagined all the opportunities Lamar could give." Robbins’ grandfather was the chemistry-physics department chair for many years, and both of his parents graduated from Lamar. Ana Mendez, dietetics major from Marshall, breaks down language barriers. Her goal is to deliver patients the information they need to stay healthy in a way that is easy to digest. Her interest in dietetics began when served as an interpreter between doctors and her mother, who developed gestational diabetes. Her knowledge has grown through her classes and research opportunities at LU. A frightening medical diagnosis at age 14 prompted Crissie Vandehoef to veer off course academically for a few years. Now the biology and chemistry major from Port Neches is on track to a future as a biomedical researcher with the help of opportunities, including as one of two 2013 David J. Beck Fellows. She will spend her summer as a research assistant at the National Institutes of Health’s National Institute of Arthritis and Musculoskeletal and Skin Diseases (NIAMS) investigating the chronic inflammatory disease. For Amy Morgan, studying at Lamar University has provided extraordinary opportunities and exposure to new cultures that she never envisioned while growing up in Silsbee. An English and Spanish major, Morgan traveled to Salamanca, Spain, in summer 2011 for a Lamar study abroad program. As one of LU’s two David J. Beck Fellows for 2013, she is now planning her second trip abroad. For her summer fellowship project, she will travel to Argentina for a literary seminar, study and work on a literary translation. Joshua Barnes has an eye on the future. The Beaumont mechanical engineering and physics major has developed a system to measure the sustainability of the products Americans produce and consume. "We need something better in America to fight entropy. And sustainability is a good way to do that.” Barnes said he was attracted to Lamar's strong engineering program and has found faculty and administrators helpful in letting him know about opportunities. Chelsea Henderson has an eye for news. 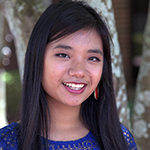 The sophomore communication major was recently named University Press editor at Lamar University after a three-year career at the publication.When she began her college search, she wanted to work for a great university paper, which led her to Lamar. Andy Coughlan, Lamar’s director of student publications, said Henderson’s passion for journalism has been evident since she was a freshman. As a dual major in physics and mathematics, Nick Lanning of Orange has reached far beyond textbooks through research opportunities offered at Lamar University. His work with Lamar’s Ronald E. McNair Post-Baccalaureate Achievement and STAIRSTEP programs have offered Lanning invaluable research experience and even earned him national recognition. He received the American Physical Society of Physics Students' Award for Outstanding Poster Presentation this year. 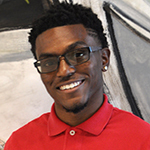 Quentin Jiles, Houston senior and social work major, was named the new Lamar University Student Government Association president for 2012-2013. Jiles said he owes much of his success at the university to his involvement with student organizations such as the NAACP and the Social Work Student Association. Jiles said he owes much of his success at the university to his involvement with student organizations such as the NAACP and the Social Work Student Association. For senior Spanish major Isaiah Johnson, it is not enough to just speak, write and understand Spanish in order to become bilingual; you have to dream in it as well. “After a few science courses I wasn’t sure if I wanted to be a dentist anymore,” said Johnson. Johnson got involved in the Spanish Circle Organization and the Sigma Delta Pi Spanish Honors Society where he began volunteering at the Southeast Texas Food Bank. For Kayleigh Romero, a junior at Lamar University, the decision to pursue a career in education was made in the summer of her sophomore year of high school. “I wanted to work somewhere where every day I’d have the opportunity to make a difference in someone’s life,” said Romero. Being far from home in Ecuador is anything but easy for junior chemical engineering major Tamara Frydson, but with her involvement in campus organizations, love for chemical engineering and close relationships with professors, she believes she has found a family at Lamar University. A member of the Lamar University Track and Field team, Joshua Raglon balances his schedule between rigorous track practices, a course load of 16 hours and other academic pursuits. He recently completed the Ronald E. McNair Post-Baccalaureate Achievement Program. “I am pretty busy,” Raglon admitted. Beginning with his first high school biology class, Humberto Hernandez of Houston has been captivated by the possibilities offered through scientific research. Lamar University has been the perfect fit for the senior biology major because of the ample opportunities he has had to pursue significant research starting early in his undergraduate career. Chemical engineering and physics major Paul Rizk is laying the groundwork for a career in medicine. Now a Lamar University junior, Rizk has set his sights on the Mayo Clinic Medical School in Minnesota. "It may sound cliché, but I like the idea of making a difference in people's lives," Rizk said. 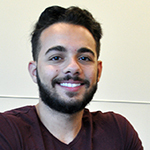 Rizk was accepted to Princeton and Lamar, but after research of both schools and examining the tuition rates, he decided Lamar was the right choice for him. Although her Lamar experiences had her flying high this summer, Aleiya Samad is keeping her career plans firmly grounded in the excellence of the university’s engineering courses and its outstanding co-op program. This semester, Samad is gaining valuable experience in her second co-op through the College of Engineering’s Co-Operative Education program working at the BP Texas City Refinery. Diana Mendez started her collegiate career at a northern university in Iowa playing primarily indoor tennis. A native of Bogota, Colombia, where it's always warm, she was longing for warmer weather and felt she was a better outdoor tennis player. The Lamar tennis program along with the facilities and the College of Business impressed her enough to get her heading south. What started as a way to accumulate required service learning hours for the Lamar University nursing program has become Ashley Brown’s own personal therapy and passion. She finds that volunteering at Stable-Spirit is rewarding not only because she loves working with children and horses, but also because it is preparing her for a career in pediatrics. For Brown, a senior nursing major from LaMarque, volunteering is only one of the many opportunities Lamar University has offered during her time as a student. Junior theatre education major Allison Underhill revels in the opportunity to learn from others and hopes one day to inspire students of her own. A native of Port Arthur and 2007 graduate of Nederland High School, she has become interested in the possibility of pursuing a master’s in order to teach at the college level. For Fred Vernon of Port Arthur, the path to becoming a successful Lamar University student has been a winding one. A junior accounting major, Vernon is spending the summer in a paid internship at PricewaterhouseCoopers in Houston, where he hopes to eventually become a partner after completing his bachelor’s and master’s degrees at Lamar University. “It’s been great. I’m learning about business. I’m learning about myself."